Rodeo Rapid, on the upper Colorado River. 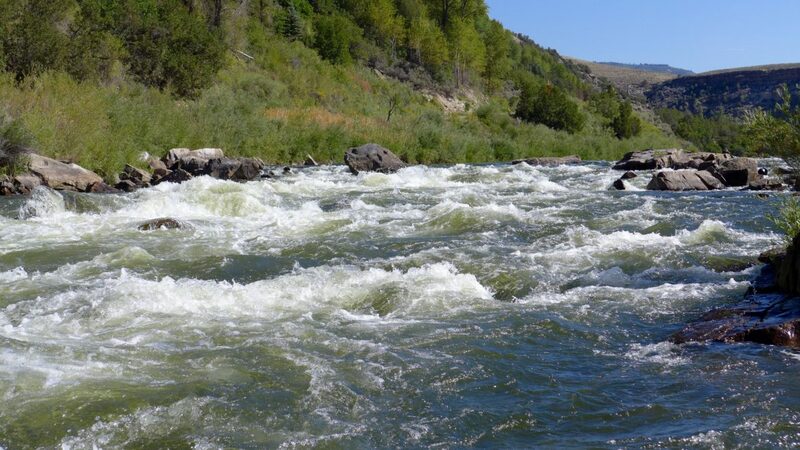 A federal judge has dismissed a case seeking personhood rights for the river, after the plaintiffs' attorney agreed with the state of Colorado that he should pull the lawsuit. The case, filed against the state of Colorado, would have been the first federal lawsuit seeking to establish legal rights for nature in the United States. The filing by Flores-Williams was titled an “unopposed motion to dismiss amended complaint with prejudice.” And in the process of agreeing to dismiss his own case, Flores-Williams summarized the situation as he saw it. The attorney general’s office then sent its letter to Flores-Williams on Nov. 16, to which he responded in a letter, with a defiant tone, on Nov. 28. Also on Monday, Dec. 4, Colorado Attorney General Cynthia Coffman issued a statement on the case. Editor’s note: Aspen Journalism is collaborating on coverage of rivers and water with Glenwood Springs Post Independent, The Aspen Times, the Vail Daily, and the Summit Daily News. The Post Independent, the Times, and the Summit Daily News published the story on Tuesday, Dec. 5, 2017.